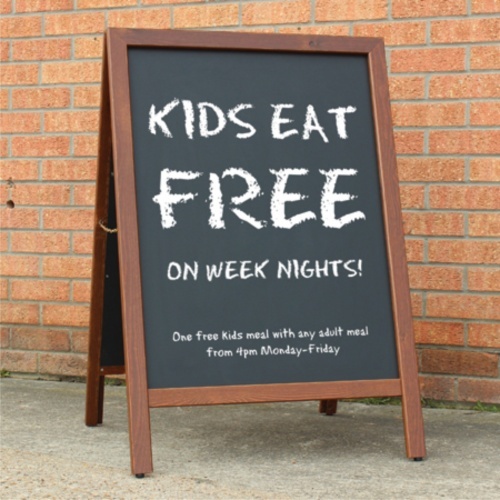 The Chalkstar is a traditional double sided freestanding pavement chalkboard. 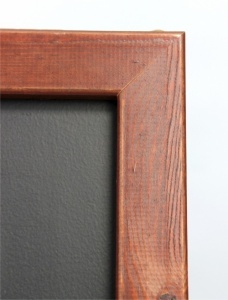 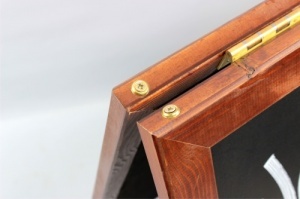 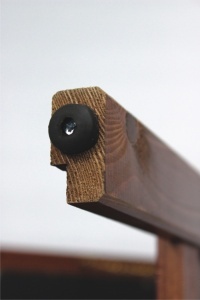 With a antique stain finished wooden frame it has a full lacquer finish for excellent outdoor performance. 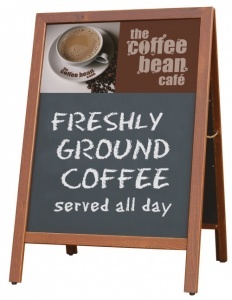 Available in a single size the Chalkstar has coated hardboard backing panels which are suitable for use with soft chalk or liquid chalk pens. 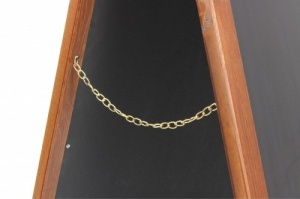 The Chalkstar features high quality brass hinges and chain as well as stand off rubber feet for grip and stability.